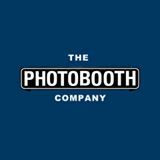 Our PhotoBooths are the perfect match for ANY event. Whether you are planning a Wedding, Birthday Party, Transition Year Ball, Graduation, Debs, Holiday Parties, Halloween Bashes, Class Reunions, Charity Events or Corporate Events. Contact us now for more information.